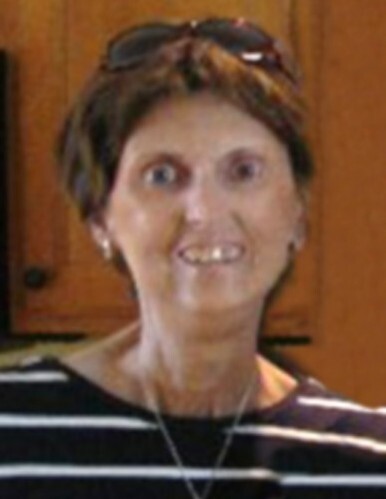 Terry Lynn Robison, 60, of Sturgeon Bay, passed away with her loving husband and family by her side Wednesday, April 3, 2019, at Bishops Court in Allouez. She was born May 7, 1958 in Algoma, daughter of the late Frank and Mathilda (Schicker) Broeckel. Terry attended Sturgeon Bay High School. On March 25, 1989, she was united in marriage with Robert Richard Robison in Hawaii on the Island of Maui. Terry’s family was her everything, especially her grandchildren. She also enjoyed shopping and buying on QVC. Terry will be missed by her husband, Rob; children, Keli (Nathan) Wood of New Hampshire, Chad (Mandie) Gerdmann of Sturgeon Bay, and Jodie (Eric) Warner of Sister Bay; six grandchildren, Owen, Cora, Joslyn, Nathan, Mason, Grady; two brothers, Glen (Mary) Broeckel of Milwaukee and Elroy (Betty) Broeckel of Milwaukee; and two sisters, Elise Friday of Sturgeon Bay and Dolores (Bob) Weber of Sturgeon Bay; special niece, Nicki (John) Griffin of Green Bay. She was preceded in death by her parents, Frank and Mathilda Broeckel; son, Gregory Broeckel; sister, Lorraine Lundquist; and two brothers, Leo and Dan Broeckel. Private family services with Rev. Phillips Sweet will be held at Huehns Funeral Home. Terry will be laid to rest in Bayside Cemetery. Expressions of sympathy, memories, and photos of Terry may be shared with her family through her tribute page at www.huehnsfuneralhome.com.